"Collaboration between Henrik Malmström and Mario Bocchicchio. 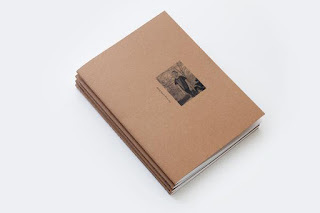 Including internet images, notes, sketches, paintings and photographs from Buenos Aires." 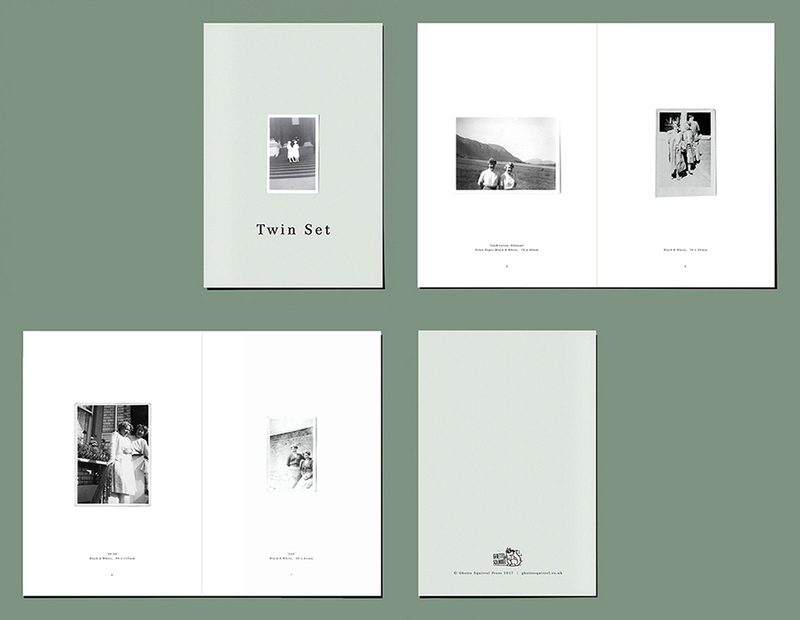 "'Twin Set' is a 16 page book containing a set of found photographs taken at random times throughout the lives of twin sisters. The first pictures are taken when the twins are young girls in what looks like the 1940s. We don't have any other details, the names of the twins, where they lived or how their lives unfolded." 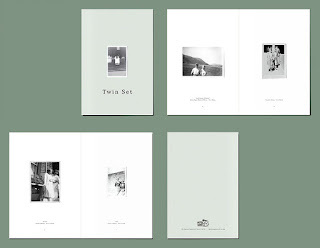 "In TIS02, photographers Carl Wooley, Nelson Chan, J Carrier, and Tim Carpenter again join together to create a multifaceted work that is both a set of four unique books and a unified cohesive statement. TIS02 reflects a collaborative concern to bring the camera and the world together in a way that honors both the thusness of the object and the interiority of the subject." 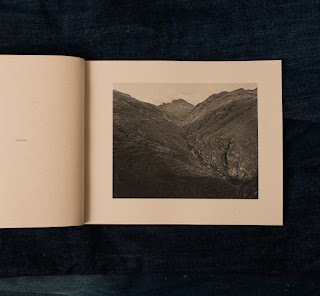 "Mountain fields like stairways of stone is a handmade artist book with photographs exploring the human-altered landscape in the highlands of Peru and Bolivia. The book draws visual parallels between the ancient practice of hillside crop terracing with the more recent phenomenon of massive and informal urban development." 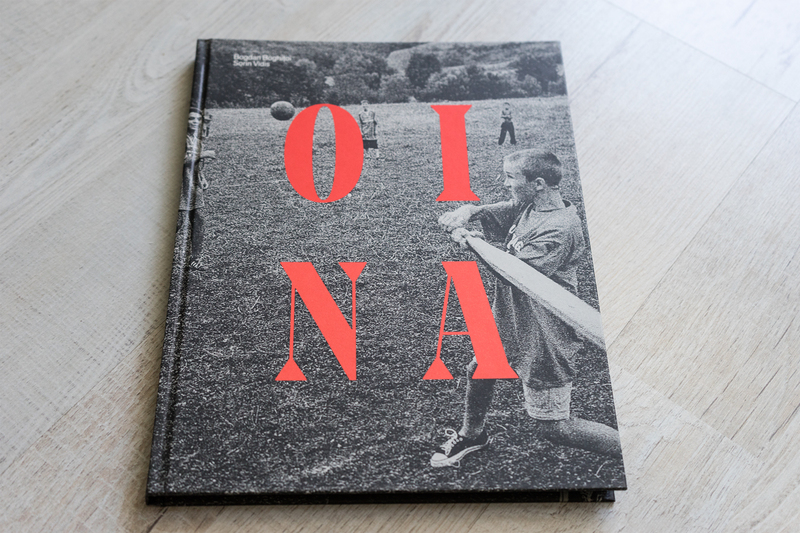 "The photobook documents the world of oina, ultimately a little known game, although it is the national sport of Romania. 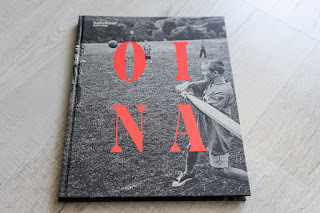 Oina precariously clings to existence, surviving only due to a group of aficionados, who play it not for fame or money – because it doesn’t bring any – but just for the sake of it. 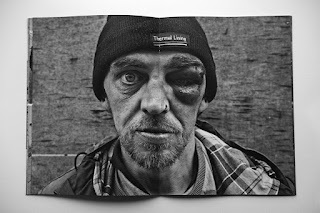 This photo-essay is the visual record of this exceptional phenomenon." 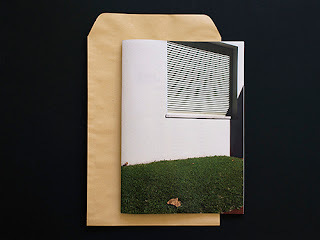 interior paper IQ selection 100gr. 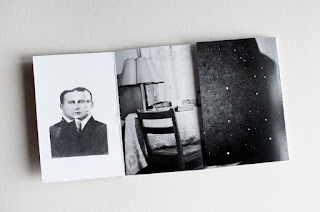 "The book can be experienced as an alternative family album to what is not identified, a landscape or a face without identity, but that once had one, which over time was forgotten, manipulated or destroyed." "An exploration into homelessness, destitution and drug and alcohol misuse in Bradford." Edition of 10 copies, each hand numbered and signed. "Pediatrics" presents thousands of images of the same reviewed details of a small hospital service. Immersion, routine. By a French nurse from the south-west of France. 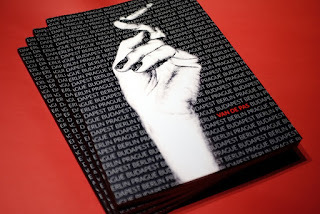 "'Berlin Prague Budapest' shows the 18-day-trip Dutch photographer Jamèl van de Pas went on during the summer of 2016. 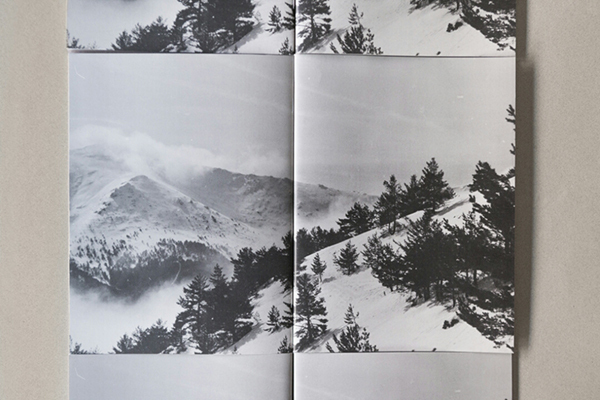 At age 18, he embarked on a journey visiting the three European capitals by train." 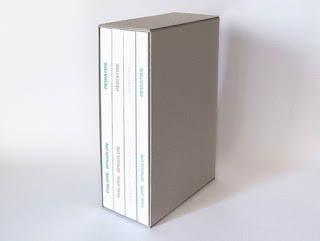 "The volume's formulation and images create their own landscape space for the eye to wander through and they invite the reader to be a co-observer and reflect on the societal and topographical alterations bound up with roads and their construction. As a tool for creating new contexts, the book becomes a new statement of Bergman's credo: destroy and repair. Set against the system of rules, plans, and structures established for the road, the book can be experienced as an alternative travel guide to intuitive and free thought." 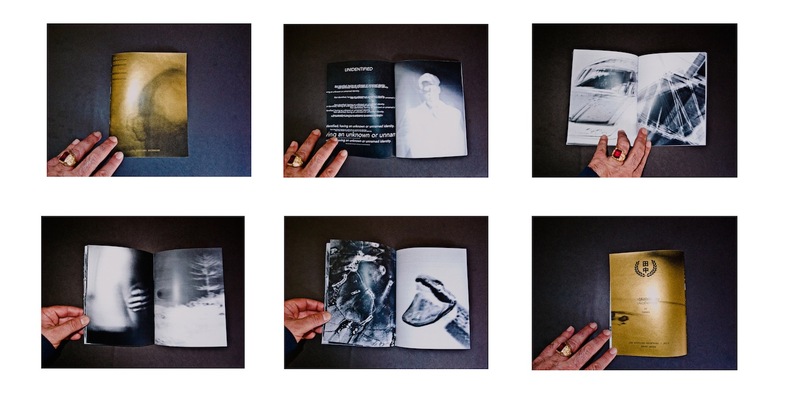 "This zine is about places where apparently there doesn't happen anything, but where a lot of things do happen. Places for walking and imagine." "The documentary project Armenians in Romania is a testimony of the Armenian community in Romania, as seen today. 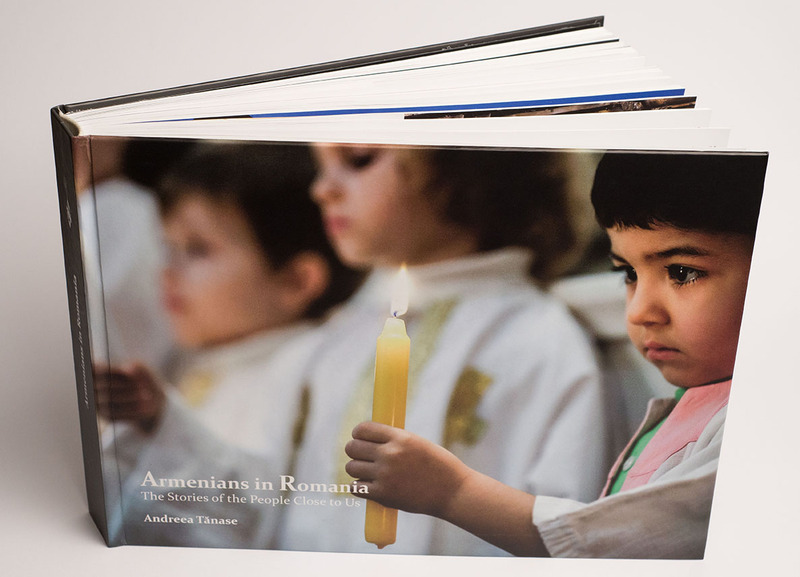 It is a foray into the Armenian tradition, history and their personal stories. Following the theme of getting to know the Armenian community in Romania, present only in small numbers today (approximately 6 000 people), this documentary fills the Romanian cultural diversity space by presenting a community often omitted by the cultural index or too little known to the public." 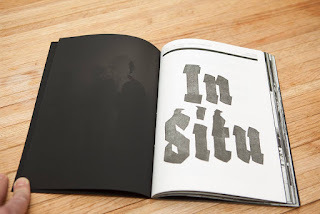 "In situ is an ode to the people of the Hague’s underground music scene (NL), it’s organisers and its frequent visitors. 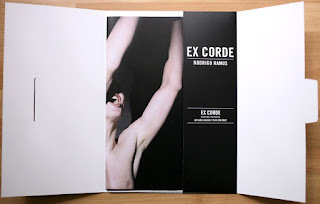 It is a result of a three year photography quest, visiting underground venues. Places run by enthusiastic people giving their all and everything. All photo’s were made between 2013 and 2016."